Millennials have accepted online dating in large numbers. It makes perfect sense. After all, the millennial generation is the first to truly grow up on the internet, making them far more comfortable interacting using online mediums. In recent years, online dating has flourished, and a series of apps have been developed to make it even easier for young romantics to find the love of their life or the love of their night. With so many apps out there, however, it can be hard to pick just one to settle down with. Tinder is the top dating app profiled in a number of different publications, and for good reason. The app has made dating a game. Whenever you feel like finding your soulmate, you simply whip out your smartphone and start swiping. If you find someone’s profile intriguing, you swipe right to show your interest. If their pictures and information leave something to be desired, you swipe left to show your disinterest. Tinder makes things even cooler by ensuring users can only contact each other if they’ve mutually liked each other’s profiles. Using your Facebook profile, it also helps you find common interests and common friends. You also can add your Instagram feed if you want your newfound love interests to follow your life story (read more). Hinge is a great option for 30-somethings who are looking for a casual relationship. Similar in nature to Tinder with its swipe method, Hinge is a dating app that ensures you only see people you have a friendly connection with. This is similar to the Groupr App. That is, Tinder for those who aren’t particularly interested in meeting strangers. Hinge will generate matches based on your Facebook friends, connecting you only to people with whom you have a mutual friend or a third-degree friend in common. 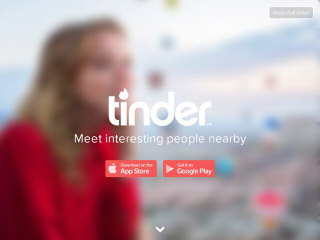 It is Tinder for those who aren’t particularly interested in meeting strangers. In short, Hinge is a great option for 30-somethings who are looking for a casual relationship or someone to date quickly. The app prides itself on moving more connections off the app and into the real world than any other dating app. It boasts a high success rate and adds the element of safety by only matching you with people who are peripherally in your circle. Hinge is a “Tinder” for those who aren’t particularly interested in meeting strangers. There is a downside to this dating app, however; it only works if you live in a relatively large city and have a large network of online friends. Those who keep their friends list regularly preened, or who live in more rural surroundings, are less likely to get regular matches (more). Have you ever read Craigslist missed connections? Well, Happn is the missed connections of dating apps. The app runs in the background of your phone and takes your location into account. As you move around your area, you’ll be matched with people you’ve crossed paths with in one way or another. For example, if you and the hot bartender at your local watering hole are both on Happn, your profiles will become visible to one another. You can choose to like them, or reject them, based on the information they provide. It’s certainly an interesting way to approach dating, and it’s a good way to know if someone in the same area is also interested in you. Just like Tinder and Hinge, you can only strike up conversations when you both “like” each other’s profiles, but you can also “charm” potential interests on Happn to make them notice you. Happn is better suited to individuals looking for love in large cities. 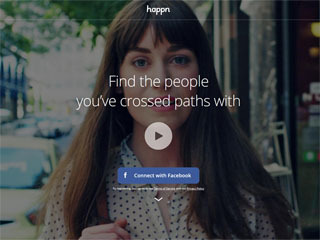 Because Happn is a less-known dating app, it is intended for individuals living in large cities. If you want to see more matches, however, you’ll need to move around your comfort zone more frequently. Changing the Starbucks you stop at in the morning might get you an entirely new list of potential matches. It’s a fun gamification spin on the dating scene (more). Now that you are familiar with the best dating apps out there, it is time to start downloading and perfecting your profile. Although all three of these apps require less in the way of “profile tweaking” than traditional dating websites, you’ll still want to make a good impression with a witty line, and perhaps a cute emoji. It is important to remember that you should always be mindful of the inherent risk of meeting strangers, whether or not you’ve connected in app or at a bar down the street. With that knowledge in hand, get out there and start matching.